The National Academy of Medicine recently made available an extensive discussion paper series on its Vital Directions for Health and Health Care policy initiative. This policy initiative was predicated upon the following understanding: The health system is strained by increasing demand and unsustainable costs. Too often, care decisions do not align with patient goals or evidence of effectiveness, and Americans experience untenable disparities in health and access to care. At the same time, new technologies and big data are spurring advances in medical science and the practice of care, including precision medicine. Patients are increasingly empowered to take an active role in their health, and community innovators are designing new models that could revolutionize the delivery of care. Increasing emphasis is placed on population health, wellness and prevention. These are the unprecedented challenges – and extraordinary opportunities – the new presidential administration must weigh as it charts the next steps for health reform in the United States. Over 100 researchers, scientists, and policy makers contributed to the discussion paper series, addressing 19 priority issues concerning Better Health and Well-Being, High-Value Health Care, and Strong Science & Technology. The “final paper” in the series synthesizes and prioritizes guidance from the full series. 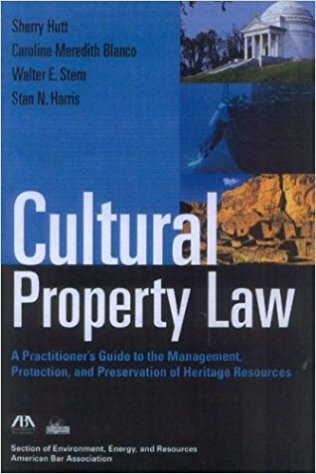 The second edition of the ABA’s Cultural Property Law is a handy practitioner’s guide to the management, protection, and preservation of cultural heritage resources. This handbook covers cultural property management on the international, federal, state, local, tribal, levels. There are also sections dealing with underwater cultural property. Finally, the authors look at cultural property for sale in the marketplace. Special emphasis is given to laws affecting museums and private parties in the exchange of cultural property. Cultural Property Law and other new selections in our collection can be found in the New Arrivals section right by the circulation desk on the first floor of the law library. For spring finals, we will be extending our pilot of longer library hours, to university affiliates only, during the reading and exam periods. April 26 through May 11, students will be able to access the building for study, using their Viking Cards, until 2 AM each morning! This time, we will also be opening at 6AM, Monday through Friday and closing to the general public at 5PM. Viking Cards will be needed for entry between 5PM and 2AM to enter the library; please be sure to keep your cards with you. We have arranged for a parking extension until 2:30 AM for each night during this period. Library staff will be in the building Sunday – Thursday until midnight and Friday and Saturday until 10 PM. When library staff are not available, a Security Officer will be stationed at the main entryway to ensure that each person entering the building holds a valid Viking Card and everyone accessing the library swipes only him or herself into the building. 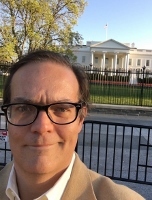 Chris Sagers, the James A. Thomas Distinguished Professor of Law, recently published an op-ed piece in the Washington Post. His article discusses the recent controversy over the forcible removal of a United Airlines passenger, as well as the larger trend of consolidation in the airline industry. You can read the article here. The Government Publishing Office (GPO) announced yesterday, April 19th, that it is launching a newly redesigned agency website. The GPO website is a free source of government information available to everyone, with links to the GPO’s Federal Digital System (FDsys), partner agencies and organizations, GPO news, and other additional content. The redesign makes the website mobile-friendly, improves the internal site search, and enhances the user interface. For example, if you are looking for the e-CFR, it is now more easily located by visiting the new GPO webpage, mousing over the “Explore and Research” tab, and clicking the third link under Government Information. The new GPO website is in beta at this time and can be accessed at https://beta.gpo.gov/. After visiting the new site, users are welcome to provide feedback on the Beta Feedback Survey. FDsys (remember this?) is also getting a redesign and will eventually by replaced by govinfo.gov. The govinfo site is currently in beta and features enhanced searching, and improved content management and digital preservation. All content on FDsys is available on govinfo, and both sites will continue to run parallel until the beta period is over. You can learn more about govinfo here, and submit feedback here.